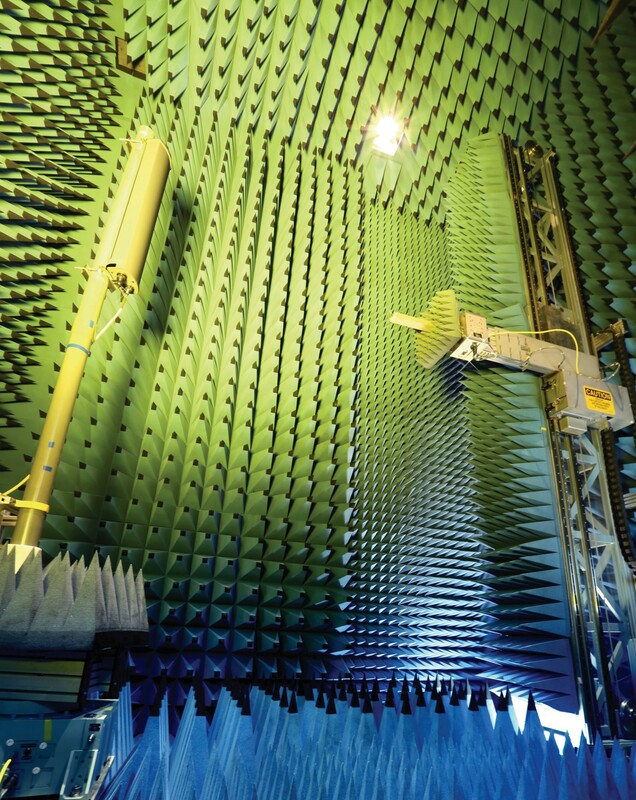 The SKLMW supports research activities in MHz, GHz and THz regions, and beyond. Examples of the applications include radars, cellular phones, satellites, lasers, and fiber communications, which meet the increasing demand for mobility and high-speed data transfers. The Laboratory also benefits from nanotechnology with the potential to create many new materials and devices with wide-ranging applications, such as those in medicine, electronics, and energy. Micro-/nano-scale devices and circuits can be explored. The SKLMW is well equipped with facilities for antenna and microwave measurement. 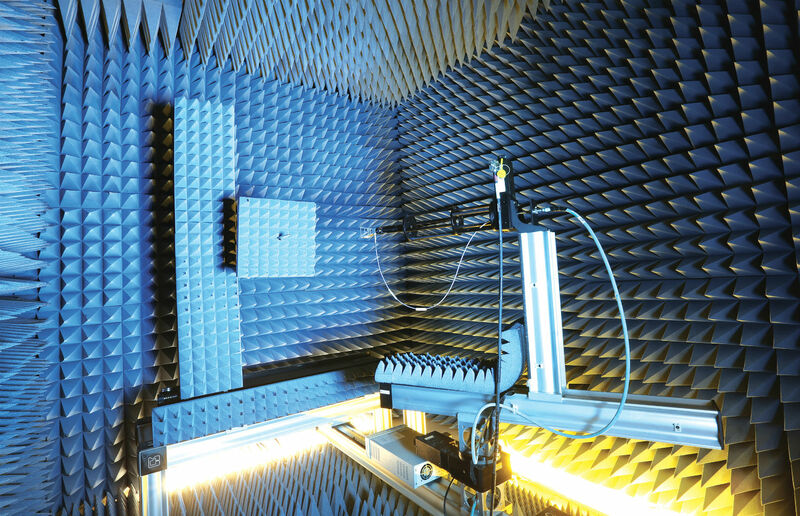 Our near-field antenna test chambers cover frequency bands from 700 MHz to 67 GHz; the compact range antenna measurement facility supports frequencies from 1 GHz to 50 GHz; the Satimo complex antenna system can measure a complete set of parameters of an antenna within bands from 800 MHz to 18 GHz. Our purpose-built far-field antenna measurement system goes up to 300 GHz. Most of our microwave apparatus, including network analyzers, spectrum analyzers, and signal generators, cover up to 110 GHz. To facilitate THz research, the laboratory is equipped with an Agilent PNA-X vector network analyzer with extension modules from OML and VDI, covering the full frequency range from 90 GHz to 1.1 THz. In addition, we also have an EKSPLA THz spectrometer with short pulses of pulsewidths below 90 fs in order to cover the frequency range from 0.1 to 3.5 THz. 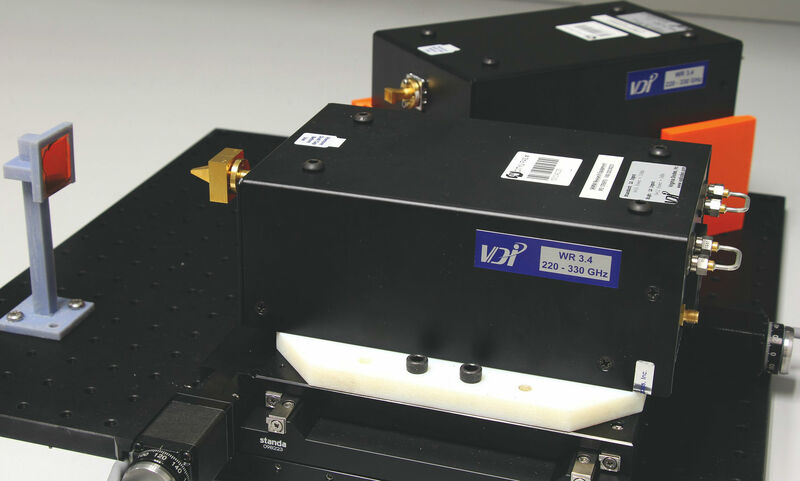 With the increasing R&D activities in microwave integrated circuits (MMIC), the Laboratory has also installed a load-pull system of up to 50 GHz and a probe station equipped with up to 1.1 THz probes. 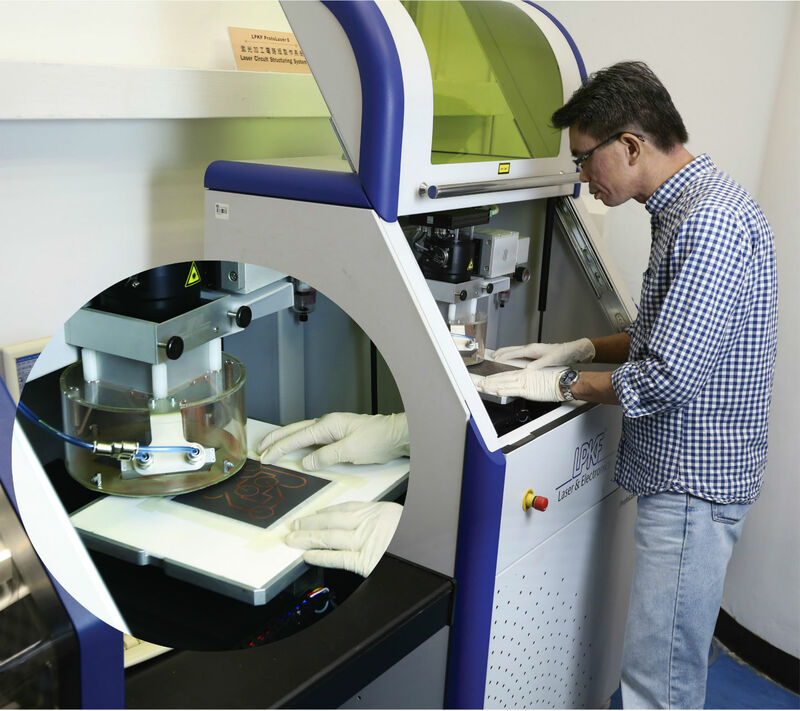 Our USD 8 million-worth facilities not only support internal research and development activities, but also provide measurement services to external customers. 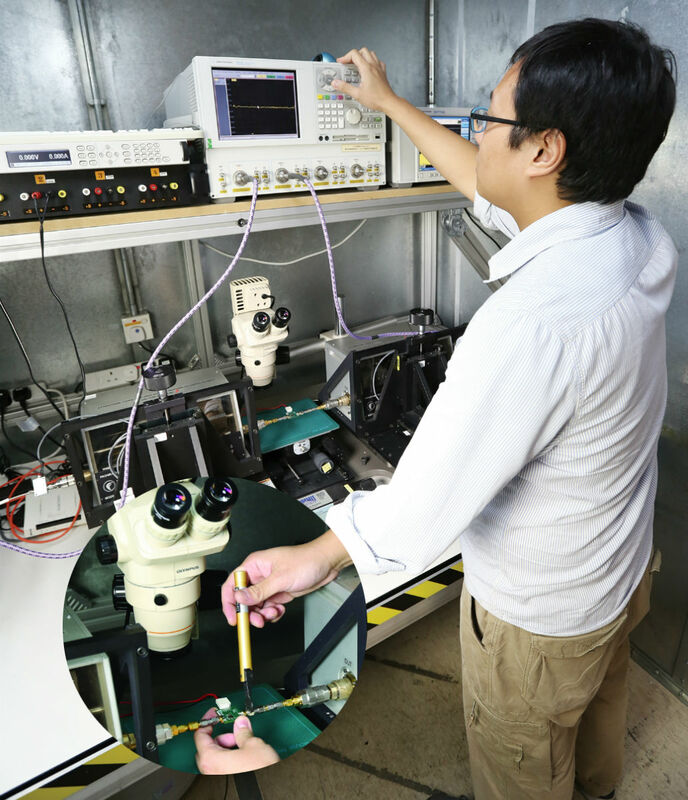 Additionally, an advanced micro-/nano-processing facility for microwave, circuits, and photonic devices has been established in the Department of Electronic Engineering at CityU to support cutting-edge research projects. 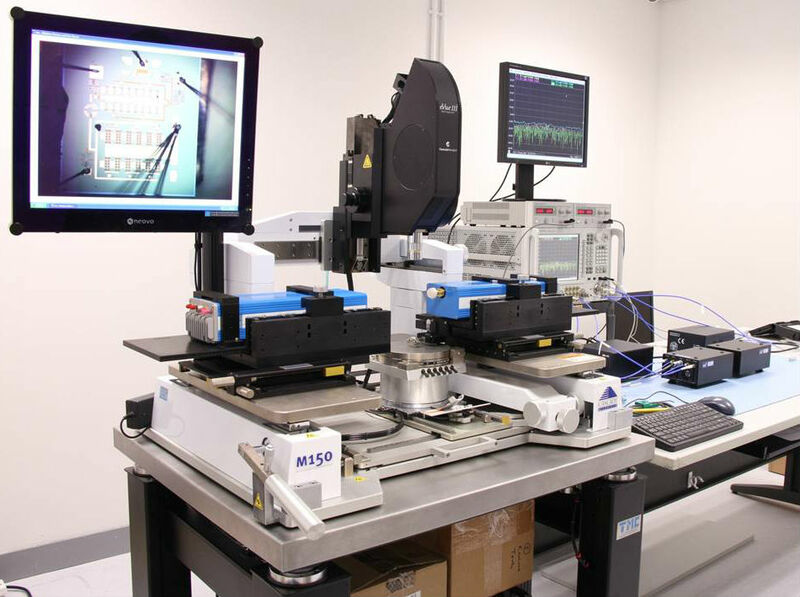 The facility provides state-of-the-art tools that support electron-beam lithography down to 10-nm resolution, direct laser writing, photolithography, metal and dielectric depositions, as well as wet and dry etching. The Department hosts helpful technical staff responsible for running and maintaining the cleanroom, educating and training users, maintaining the equipment, and supporting research.